1. Introduction and Process Sedimentology. 1.1 Introduction. 1.2 Process Sedimentology. 1.3 Synopsis. 2. History of Deep-water Research (1885-2005). 2.1 Introduction. 2.2 History. 2.3 Scientific Revolutions. 2.4 A Philosophical Retrospective. 2.5 Synopsis. 3. Gravity-driven Processes. 3.1 Introduction. 3.2 Mass-Transport Processes. 3.3 Sediment Flows. 3.4 Synopsis. 4. Deep-water Bottom Currents. 4.1 Introduction. 4.2 Bottom Currents versus Turbidity Currents. 4.3 Thermohaline-Induced Geostrophic Bottom Currents. 4.4 Wind-Driven Bottom Currents. 4.5 Deep-Marine Tidal Bottom Currents in Submarine Canyons. 4.6 Synopsis. 5. Other Processes and the Phenomena of Tsunamis. 5.1 Introduction. 5.2 Liquidization. 5.3 Clastic Injections. 5.4 Mud Diapirism. 5.5 Sediment Plumes, Wind Transport, Ice Rafting, and Volcanism. 5.6 Pelagic and Hemipelagic Settling. 5.7 The Phenomena of Tsunamis. 5.8 Synopsis. 6. Depositional Environments. 6.1 Introduction. 6.2 Deep-Lacustrine Environments. 6.3 Submarine Slope Environments. 6.4 Submarine Canyon and Gully Environments. 6.5 Submarine Fan Environments. 6.6 Submarine Non-Fan Environments. 6.7 Submarine Basin-Plain Environments. 6.8 Synopsis. 7. Process-related Problems. 7.1 Introduction. 7.2 Conflicting Definitions of Turbidity Currents. 7.3 Conflicting Definitions of Turbidites. 7.4 Conflicting Definitions of High-Density Turbidity Currents. 7.5 Unknowable Flow Transformations. 7.6 Conflicting Definitions of Slurry Flows. 7.7 Conflicting Origins of Flute Structures. 7.8 Conflicting Definitions of Normal Grading. 7.9 Problematic Origin of Traction Structures. 7.10 Problematic Origin of Mud Waves. 7.11 Problematic Subaerial Analogs. 7.12 Problematic Origin of Sinuous Forms. 7.13 Problematic Hyperpycnal Flows. 7.14 Conflicting Origins of Massive Sands. 7.15 Conflicting Definitions of Turbidite Systems. 7.16 Inadequate Seismic Resolution. 7.17 Synopsis. 8. The Turbidite Facies Model. 8.1 Introduction. 8.2 The Turbidite Facies Model. 8.3 The Annot Sandstone. 8.4 Basal Sedimentary Features. 8.5 Upper "Normally Graded" Intervals. 8.6 Origin of Inverse to Normally Graded Intervals. 8.7 Inadequacy of the Turbidite Facies Model. 8.8 Problems with Other Facies Models. 9. Submarine Fan Models. 9.1 Introduction. 9.2 Modern-Fan Model. 9.3 Ancient-Fan Model. 9.4 General-Fan Model. 9.5 Turbidite Facies Association. 9.6 The Jackfork Group and the Turbidite Controversy. 9.7 The Impermanence of Submarine Fan Models. 9.8 Synopsis. 10. Sequence-stratigraphic Fan Models. 10.1 Introduction. 10.2 Basin-Floor Fans and Slope Fans. 10.3 Seismic Geometries. 10.4 Wireline-Log Motifs. 10.5 Parasequence Concept. 10.6 Abandonment of Submarine Fan Models. 10.7 Synopsis. 11. Tectonic and Eustatic Controls. 11.1 Introduction. 11.2 Tectonic control. 11.3 Eustatic Control. 11.4 Synopsis. 12. Implications for Sandstone Petroleum Reservoirs. 12.1 Introduction. 12.2 Grain-Size Distribution. 12.3 Spatial Distribution of Sand. 12.4 Dimensions and Geometries. 12.5 Lateral Changes in Sediment Thickness. 12.6 Reservoir Heterogeneity. 12.7 Sand Injection and Reservoir Communication. 12.8 Correlation of Sandbodies. 12.9 Depositional Mud Matrix. 12.10 Reservoir Quality. 12.11 Depositional Models. 12.12 Epilogue. References. Index. 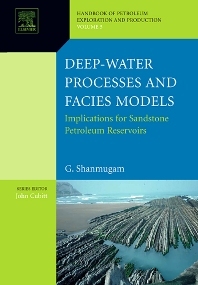 This rock-based book is an attempt to link deep-water process sedimentology with sandstone petroleum reservoirs. In presenting a consistent process interpretation, the author has relied on his description and interpretation of core and outcrop (1:20 to 1:50 scale) from 35 case studies (which include 32 petroleum reservoirs), totaling more than 30,000 feet (9,145 m), carried out during the past 30 years (1974-2004). This book should serve as an important source of information for students on history, methodology, first principles, advanced concepts, controversies, and practical applications on deep-water sedimentology and petroleum geology.